Promising stuff. But is it not too early for them to make such a call? Or in reality can open mean one snowcannoned strip is there? Looks like they have opened piste 2 at Hintertux. Showing 44km of piste open. @Bennyboy1 Thats right! And i think they are opening tuxerjoch saturday! just checked the penkenbarn webcam and it looks like there are a couple of big mobile snow canons sat in the middle of the piste . good sign . bus to the hintertaux , train to kaltenbach and train ,then bus to zell am ziller . all worth a day out . Right now i'd say Hintertux is sufficient for several days! @staffsan, have you been skiing there this week? How are conditions? Cams look great. Is piste cover good? Any ice? Conditions are great, far better than i expected. Snow all the way down to the valley. Piste cover is good, a lift guard told me they might even open the valley run next week. No slush, and just the occasional ice spot in the afternoon. Snowing right now, and is a tad windy at the top but we've been out all day. @staffsan, thanks for the report. Looking forward to my visit now! @Bennyboy1 Nice! When are you arriving? Well heres that nice white stuff steadily pouring down just this moment at 1300m in preparing for your arrival! Hi, we are going to Hintertux the second week of December. I am looking for ski hire for three of the group. We will probably get it from Intersport as it is next to our hotel. Alpinsports.com can do it cheaper (for Intersport), is there any reason why we shouldn't book through them? Also just wondering how long the bus is to the rest of the Zillertal area? Thanks very much for any help. @rachelb, dont know about the ski hire but the bus from Hintertux to Mayrhofen is about 40 mins. @rachelb, used Alpinresort many times in various resorts, never a problem, just remember to print your order and take with you to the shop. That's great, thanks very much for the replies. 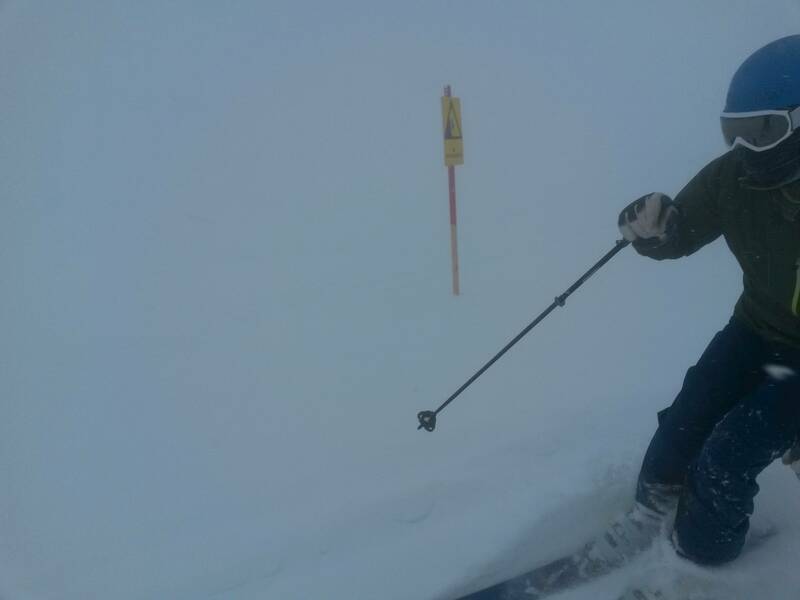 Really decent skiing (or snow anyway) in Hintertux today, but visibility not so good. Anyone with time on their hands should go tomorrow. 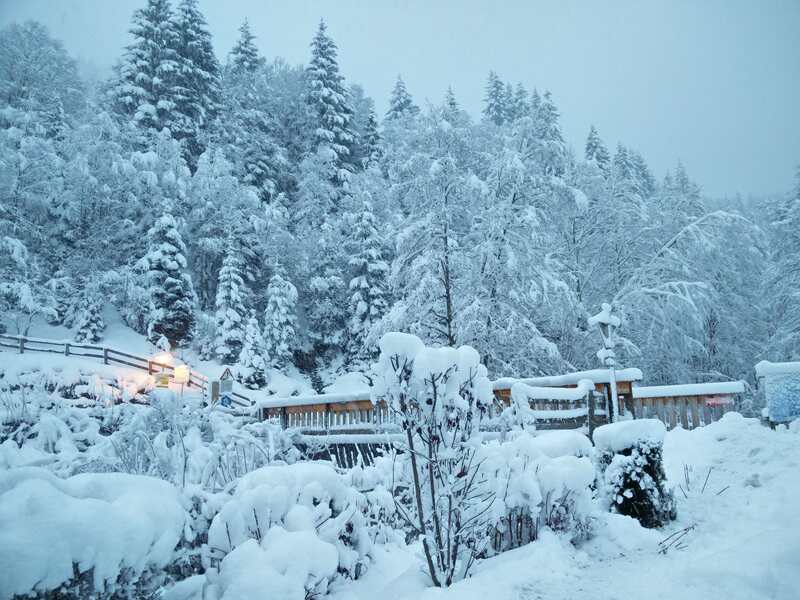 Or well, heres a photo of the tux Valley at 1300m right now. @Bennyboy1, how was your first day? Any snow left? @staffsan, conditions were great today. Nice grippy snow. They have all the pistes open except the home run now. Was very busy today. Weather turning by tomorrow PM. If I can work out how to post pics via my iPhone I will post some up. Down the valley towards Rathkogel. Very good snow cover for time of year. Lots of offpiste tracks. A lot of crevasses and holes to avoid. Lots of idiots who cannot ski going around the holes. Snow bridges probably not formed fully. Snow on glacier is powdery and wonderful to ski. Down below glacier is mainly man made and a bit icy. However it was between -5 to -13 today. Cold out of the sun. Glorious sun though. Snow forecast for tomorrow. V cold and high wind.....interesting with 4 kids in tow. Hochfügen was fantastic yesterday - good snow on piste and surprisingly great off piste. Hintertux today was a bit Scottish. Windy and poor visibility but awesome snow. I'm hoping it stays cold over the next few weeks. I'll be a bit sad if it warms up and all this lovely snow disappears! @SaraJ, I was there today as well. When the sun briefly poked through it was very nice. Snow was awesome. Any lifts working at Hochfugen yet?